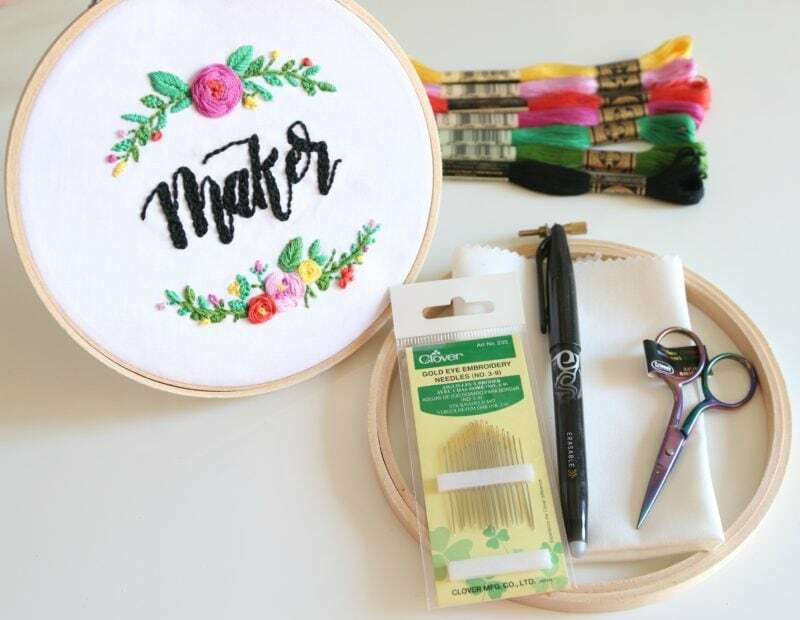 I’m so excited to share my new Maker Embroidery Kit with you! 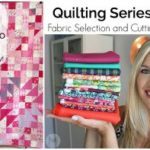 Have you heard about my shop, CaliStitching? 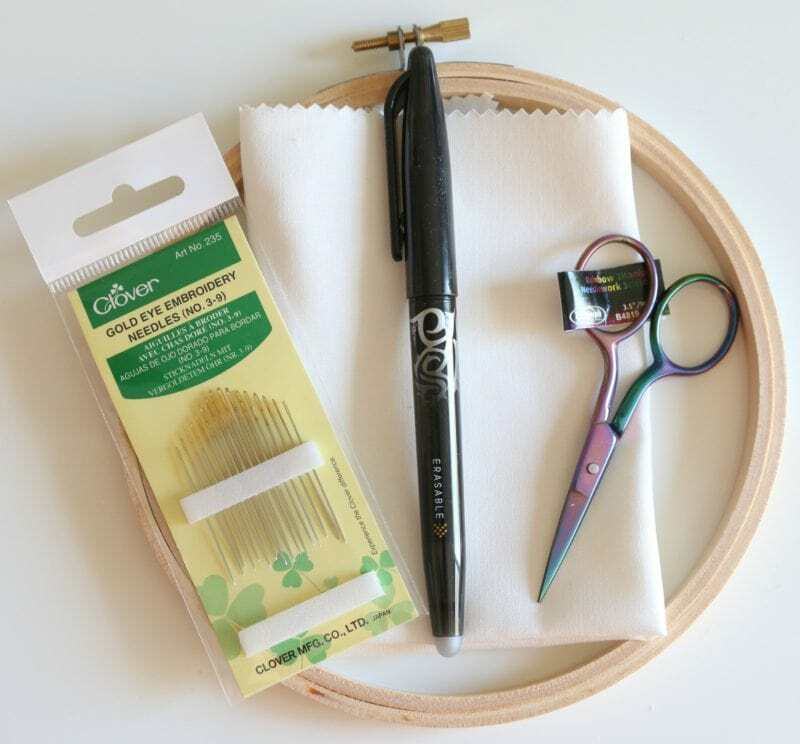 It’s where I have premium kits with everything you need to make one of my projects, down to the right amount of the perfect color thread to beautiful scissors so you don’t have to dig around for your own. 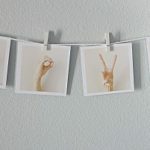 Right now we have embroidery, crochet and macrame! 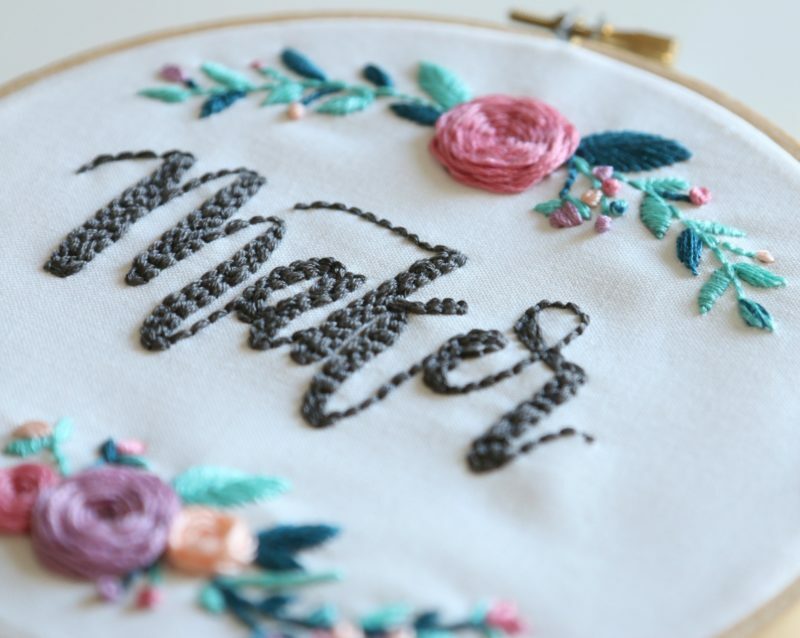 I was thrilled to work with my friend and fellow small business owner/work at home mom Lainey of All She Wrote to create this “Maker” embroidery design for you. 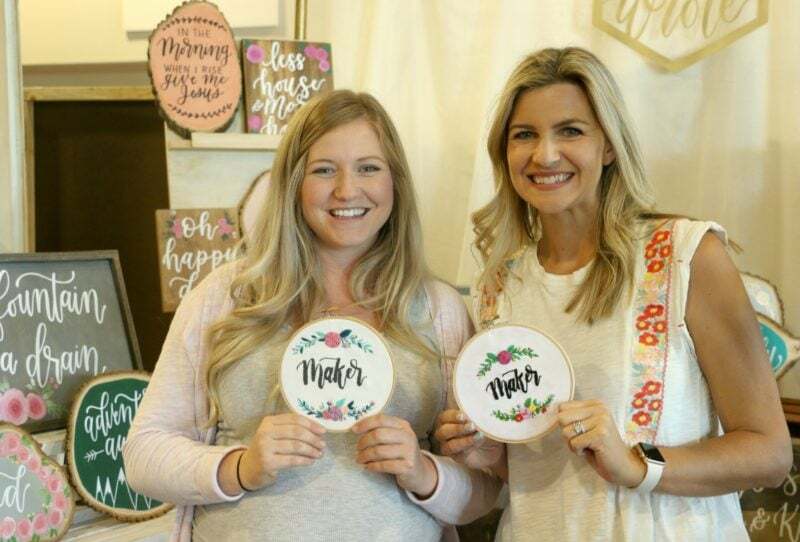 She is amazing at hand lettering and helped digitize the design to make it a pdf! Here is a peek at everything the kit comes with! You not only have 1 needle, you get a whole pack of high quality embroidery needles in each kit. I also provide you with a frixion pen to make the transfer super easy! 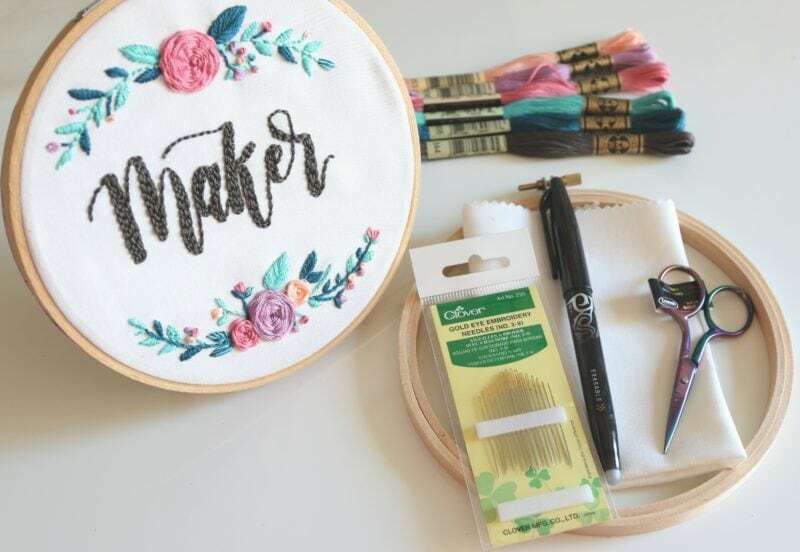 Did I mention you can also get the class to go with this kit, yes a whole beginner embroidery class! I’ve got 12 video lessons ready to go to walk you through the entire process. The kit AND the class are only $39! 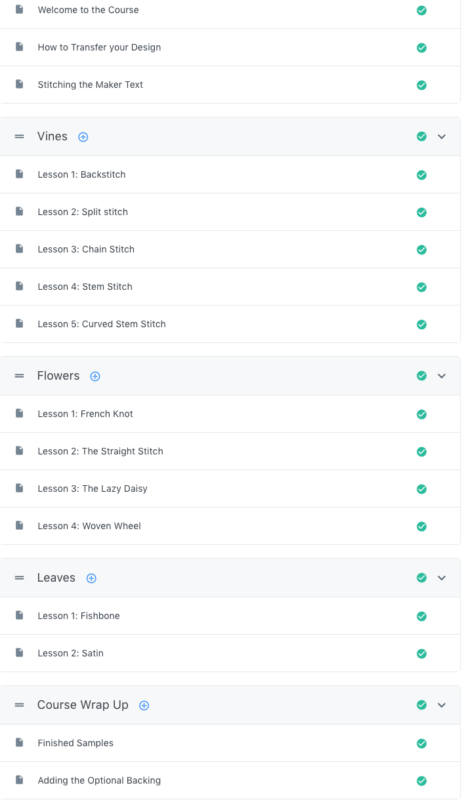 Here’s a snapshot of all of the lessons included in the beginner embroidery class. 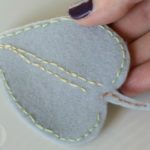 Already know how to embroider? 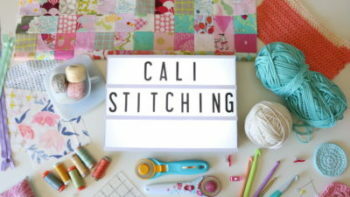 This listing has the kit by itself (comes with a stitch map and list of stitches for you to use!). If you are outside the United States and the shipping is just too steep, you can purchase the class by itself too! 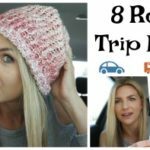 My goal with these kits is for you to throw them in a suitcase for a trip and have everything you need. No going to the store or searching around your home to finish out the kit. I love that these blend the idea of convenient technology and the same hand embroidery of our ancestors – it’s a beautiful thing. Don’t need the kit? The class is also available for purchase by itself HERE! 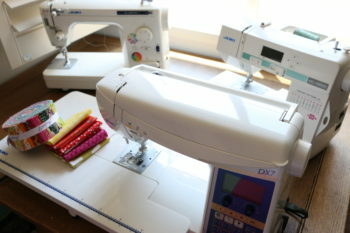 I have the first embroidery “ makers”, but am interested in getting the second one. Do I have to purchase them both? ?